Boom! Not the way you want to start the day. 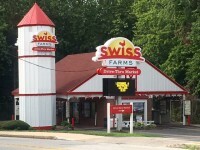 Swiss Farms understands that hectic schedules are a part of many of our daily routines. 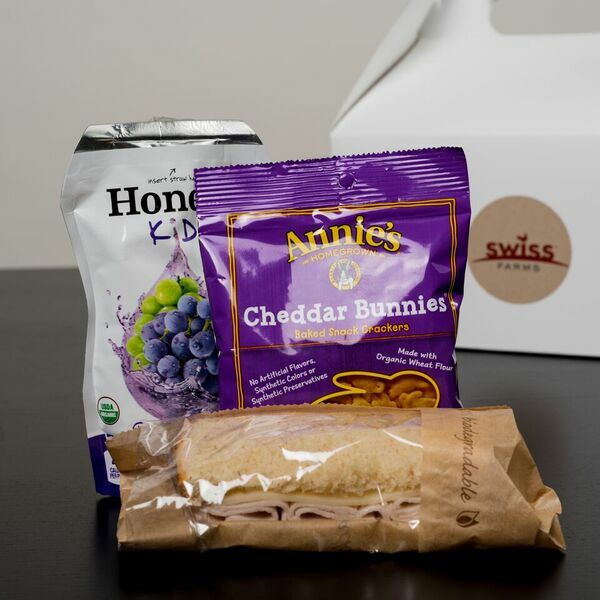 To help eliminate some of this ongoing pressure, Swiss Farms is now offering to take away some of that stress by offering healthy, well-balanced, customizable” kid and adult lunches on-the-go! 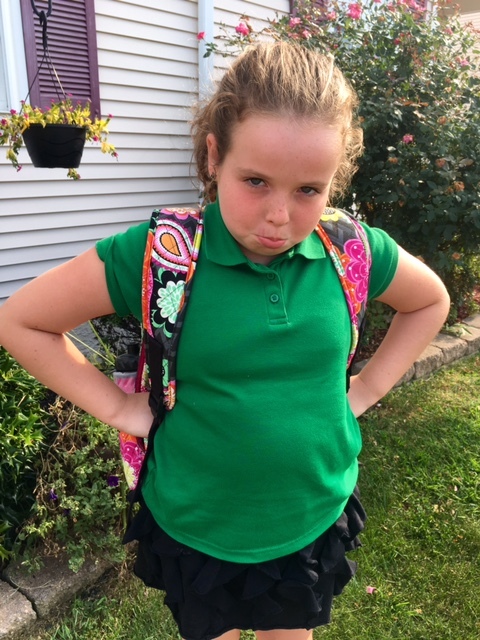 Yes – just drive up, order and in no time at all you will be on your way to school (or work) with a happy kid and lunch in hand. Customizable kid lunchboxes complete with easy carry handle include one half sandwich (add an additional half for $2), a side and a drink for $4.99. And while you are there you can customize an adult-style lunch for yourself for $6.99 -$9.99, depending what you order. How awesome is that? And as for the adults (or hungry middle-schooler or high-schooler), the customizable menu offers classic chicken salad, cranberry chicken salad, egg and tuna salad sandwiches, and Italian or turkey and swiss hoagies served with a variety of flavors of Herr’s chips and Swiss Premium drink pints. Pricing varies by selection and ranges from $6.99­–$9.99. Gosh that cranberry chicken salad sounds so delicious right now! That is my absolute favorite sandwich at Swiss Farms! These carry out lunchboxes will also be great for taking along on long swim meet days or other kids activities throughout the year. It really doesn’t get anymore convenient than this! Hey wait – it can get even more convenient – just place your order via the Swiss Farms mobile App before you head out and your order will be waiting for you when you arrive at the drive thru! Oh how you spoil me, Swiss Farms! 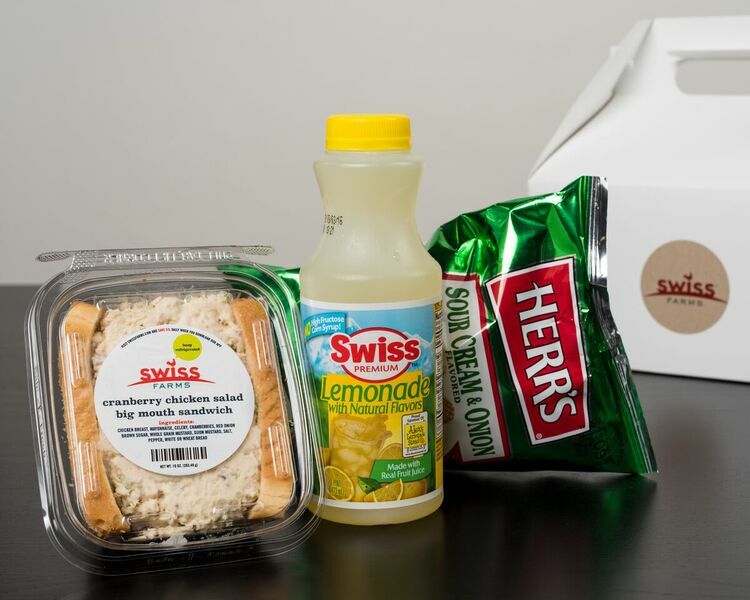 Since we all love to save money and Swiss Farms is excited to introduce you to their newest menu option, Swiss Farms is offering Delco Deal Diva readers this money saving coupon so that you will hopefully give these awesome, customizable lunchboxes a try for yourself! Coupon is valid through September 16, 2016. Feel free to print the coupon – or if it is easier, just show the coupon on your phone at the drive thru. What do you think of these customizable lunchboxes? Which sandwich are you most excited to try? Wow so much easier. I’ll have to keep my eye out for those next trip to the store. This is a great option for busy mornings! I love this! I am definitely going to have to try this.